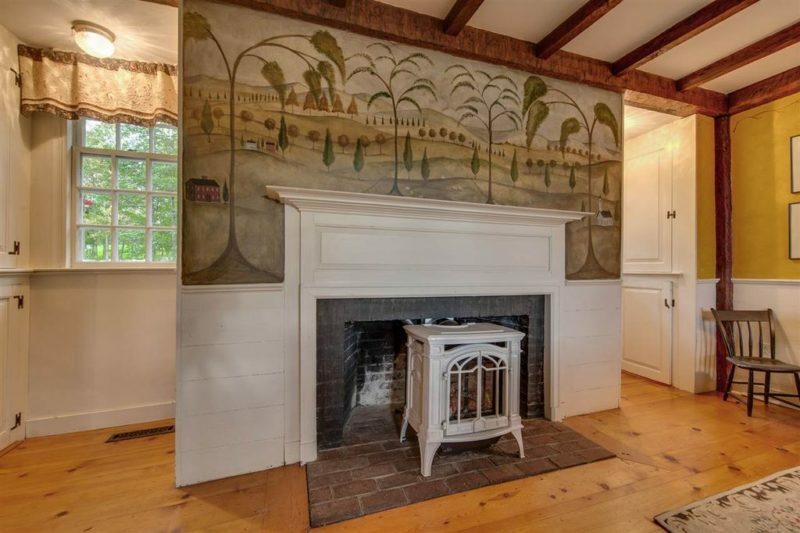 A reader named Donna told me about this Antique Cape, which was built in 1784 on the historic village green of Mason, New Hampshire. 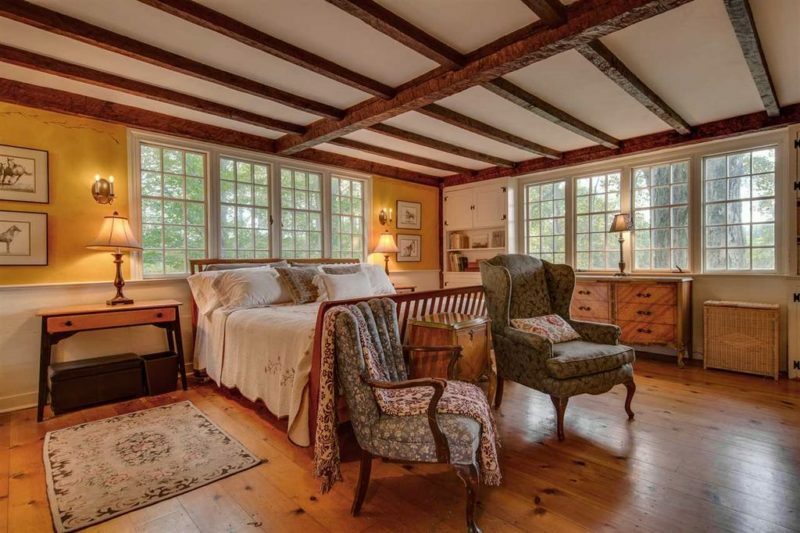 Although it’s been updated over the years, it still has the kinds of details that old-house fans love, like gunstock corners, wide pine floors, wood-burning fireplaces, and beamed ceilings. 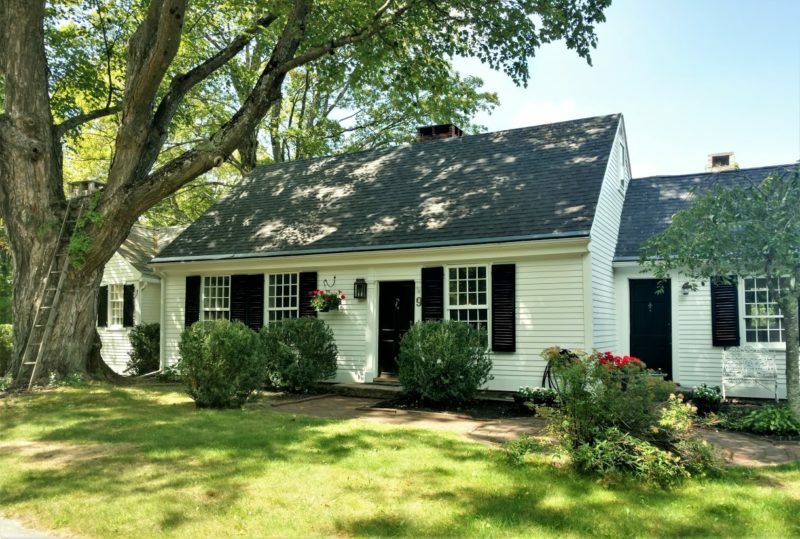 It’s on the market, so take a look! Note: This post contains affiliate links that may earn me a commission without changing the price. The front of the house overlooks the historic town green. 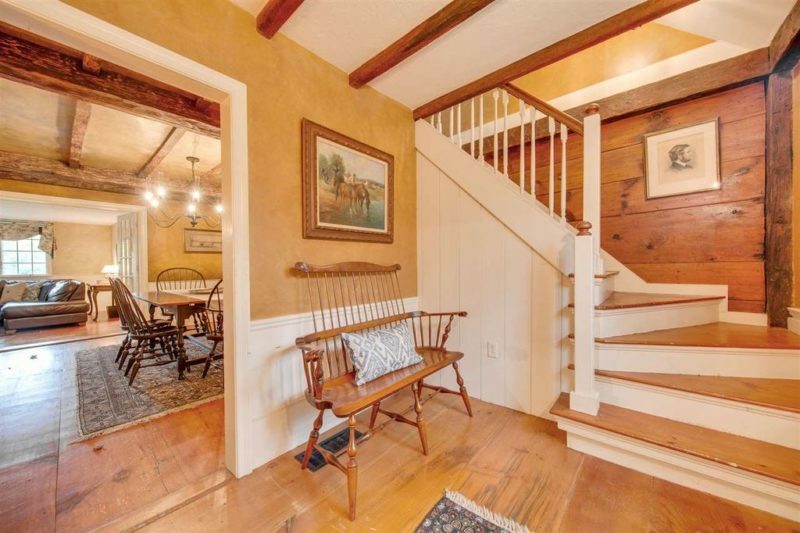 Meticulously maintained center-chimney antique cape in the center of Historic Mason. Stunning landscaped property with loads of privacy yet not secluded. Walk to the Town Green for Seasonal Activities. 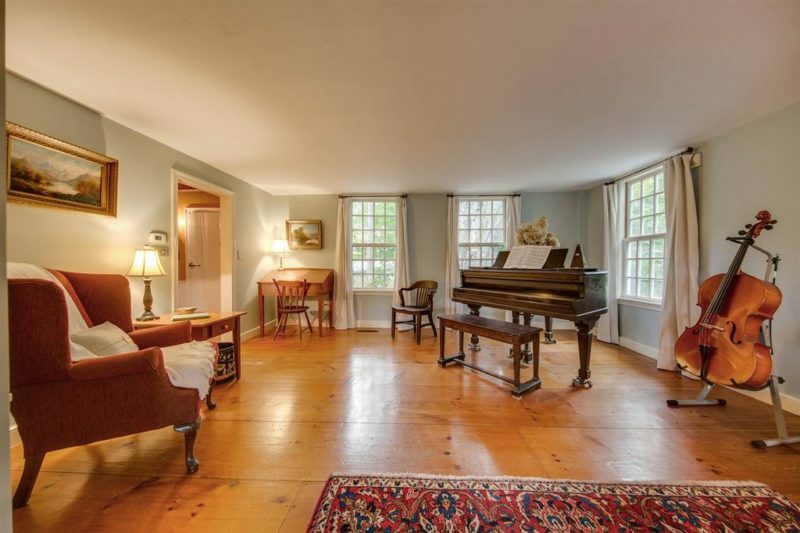 Thoughtfully updated with modern amenities yet antique features throughout. There’s a master suite on the first floor and two additional bedrooms upstairs. Mason is a small town with historical significance. It’s the former home of Samuel Wilson, known as Uncle Sam. There’s a plaque marking his former home in the village. The property next door is the former home of artist and author Clarence William Anderson (Amazon affiliate link). 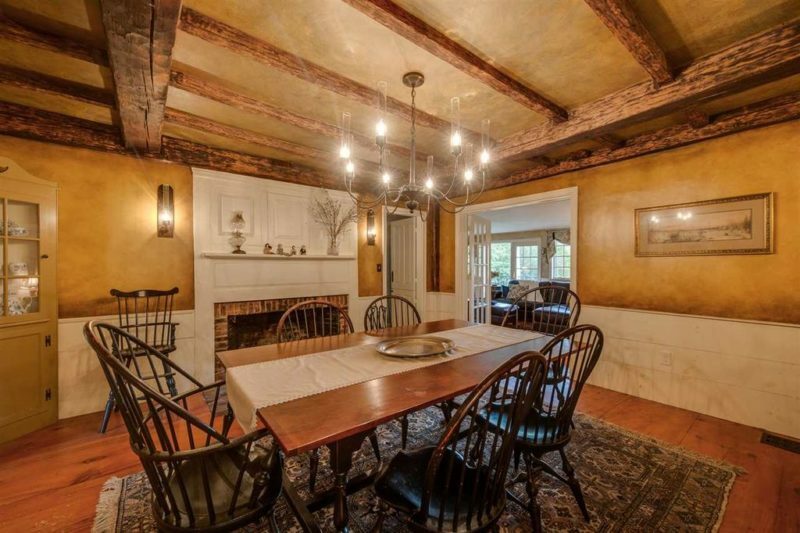 For more information, check the listing held by David Deysher of Historic & Distinctive Properties and take the video tour. *Posts contains Amazon affiliate links — thanks!